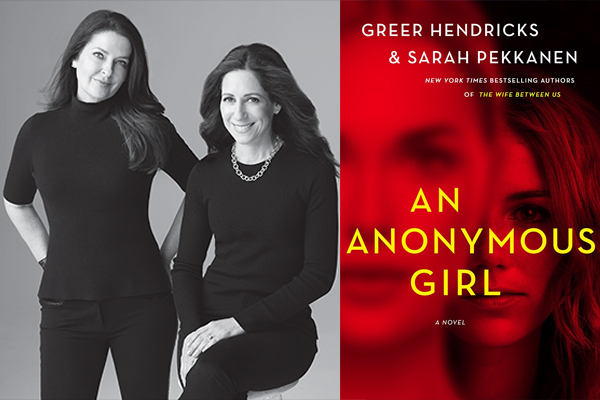 An Unlikely Story is thrilled to welcome New York Times best-selling authors Greer Hendricks and Sarah Pekkanen to talk about their recently released and “wonderfully dark” psychological thriller AN ANONYMOUS GIRL. If you’re a fan of GONE GIRL and other heart-pounding suspense novels, you won’t want to miss this event. The authors will discuss their new novel, answer questions during a Q&A session and sign books. Greer Hendricks spent over two decades as an editor. Her writing has been published in The New York Times and Publishers Weekly. Sarah Pekkanen is the internationally and USA Today bestselling author of seven previous novels. A former investigative journalist and feature writer, her work has been published in The Washington Post, USA Today, and many others. Together, they have written the New York Times bestselling novel THE WIFE BETWEEN US.